If you are a parent of children or young teenagers then there will be times that you may want them to have a cell phone with them so you can know where they are. But how do you monitor how they use that phone when you are not around? Remote phone tracking technology has been available for quite some time now. There are numerous options available commercially to concerned parents, each with their own features and customizable options. mSpy Cell Phone Tracker allows the user to remotely track and control activity on smartphones. As well as giving you a chronological log of all phone calls and SMS messages sent and received by the targeted device, it also lets you monitor all Social Media App usage and messaging Apps such as WhatsApp, Viber and SnapChat. You can view the stored images and video files already on the device plus every time your child takes a new picture or makes a video it is automatically uploaded to your mSpy account. GPS location data is also recorded and there is a facility for Remote File Erasing if the phone does fall into the wrong hands to protect your personal data. mSpy offers two phone packages with the Basic retailing for $95/yr and the Premium for $189/yr. It is available on Android and iOS platforms. AccuTracking has been around for over a decade and is a trusted provider of GPS Tracking devices and software for phones. It is a basic tracker rather than actual phone monitoring software but its accuracy cannot be questioned. It can be downloaded as an app for Android, iPhone, Blackberry, Sprint & Boost mobile, Generic Java phones, and Windows Mobile 6. 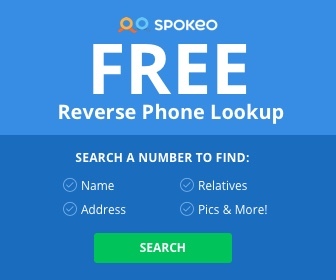 The app must be installed on the targeted phone before it can be used. This is done following the link to the mobile app page on their website. AccuTracking offers a Pay-As-You-Go service that the user can top up when they want to use the service. Pricing ranges from $59/yr for the unmanaged package to $139/yr for the managed package with a data plan. 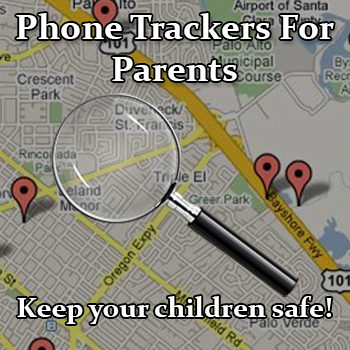 Trick or Tracker 3.0 was an App available on Amazon that allows a parent to know where their child’s phone is at all times. Unlike mSpy which secretly monitors a targeted phone, Trick or Tracker 3.0 is an overt monitoring system. As the name suggests it was originally intended for parents to monitor their children Trick or Treating at Halloween. It is ideal for tracking young children who are old enough to be out by themselves but not yet old enough to have an unlocked phone of their own. The app is installed on two phones – the parent’s and the child’s – and allows two-way GPS information to be sent between both parties. The Child will have a ‘Where I Am’ button on their and the parent will have a ‘Where Are You’ button. It comes with a LatchKey feature which allow a parent to pre-program a set of coordinates – e.g. a school or a house – which will send an update to the Parent’s phone when the child arrives at that location. It also has a GuardsUp! feature which allows the parent to set a virtual perimeter which will also send an update when the child leaves a designated area. The app was free to download through Amazon’s App Store, but it is no longer available. The child’s phone must be Android but the Parent’s phone can be any operating system that is able to run Google Maps. Highster Mobile Spy is a Remote Cell Phone Tracker and Spy. It is available for Android and iOS. It claims to be 100% undetectable and offers the typical services that most high-end Phone Tracking software provides: remote access; GPS location data; call and SMS logs; browsing history; pictures and video access; App usage and content. It also features a Stealth Camera which can effectively turn the phone into a real-time bugging device capturing audio, images and video. It is possible to access these features and to monitor the phone through any internet browser. This remote access allows the remote blocking of Applications as well as the option to remotely uninstall the software from the targeted phone. The pricing is a one time fee of $69.99 and no rooting is required. Flexi Spy offers a range of powerful mobile monitoring software that claims to be able to catch more Instant Messenger services (14) than any other commercially available software. As well as the standard mobile monitoring functions they also offer more powerful services aimed at professional level detectives such as the facility for call interception. This allows the user to effectively listen in and record call conversations as they happen. Another high-end feature is Password Cracker that reads the stored passwords on Android, iPhone and iPad allowing the user to access those services directly. Such features are probably beyond the needs of most parents and Flexi Spy offers two pricing packages: Premium for $149/yr and Extreme for $349/yr. The Extreme package features include: password cracker; phone call listening and recording; control of Microphone and camera; spoofing tools. Jailbreak is required for iOS devices and Android phone may have to be rooted before the app can be installed and set up correctly.